I love Toronto. Yes, I know, the traffic is impossible, the property taxes exorbitant and cost of living is spiraling out of control, still, I love Toronto. I love the cosmopolitan bustle and hustle, I love the exciting weave of cultures and ideas combining into one and I love the city when it puts on its festive best during the holiday season. I was lucky enough to end up in Toronto just before Christmas to take in the sights and sounds of the season which means elegantly dressed Christmas trees, strings of lights and the Christmas windows at the Bay downtown. Yonge Street is a treasure trove for shopping adventurers; festively lit shop windows brimming with Christmas decorations and every shop imaginable from knock off luggage to vintage fashion the whole street is an eclectic mix of this, that and everything in between. As Yonge heads into Queen this is where the real magic happens. Gigantic TV screens mimic a Times Square atmosphere, the Eaton’s centre is a spectacular epicenter of world class shops and the spectacular Old City Hall stands as a sturdy reminder of the foundations that built the city. 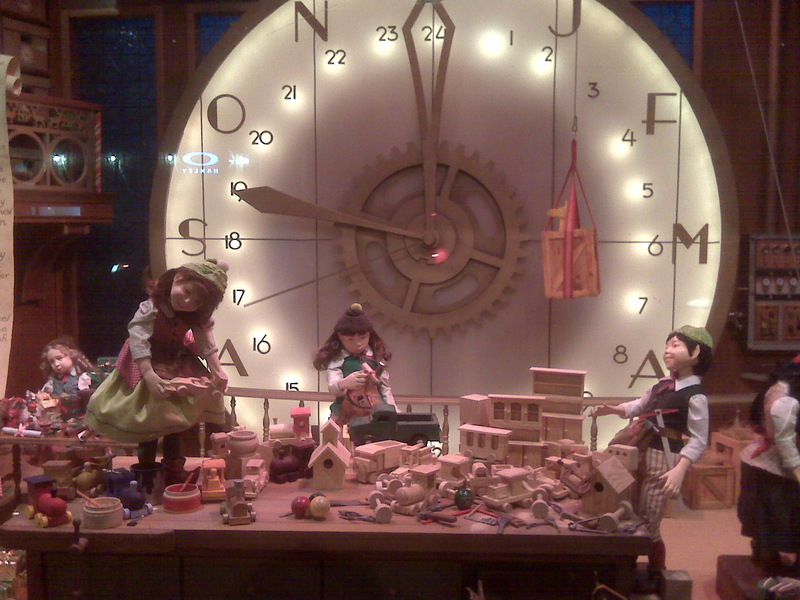 The highlight of the Christmas season in downtown Toronto is definitely the Christmas windows at the Bay. A Christmas tradition at the Bay since the early 1900’s the animated street level windows draw crowds from the unveiling in November until they are taken down after the holidays. 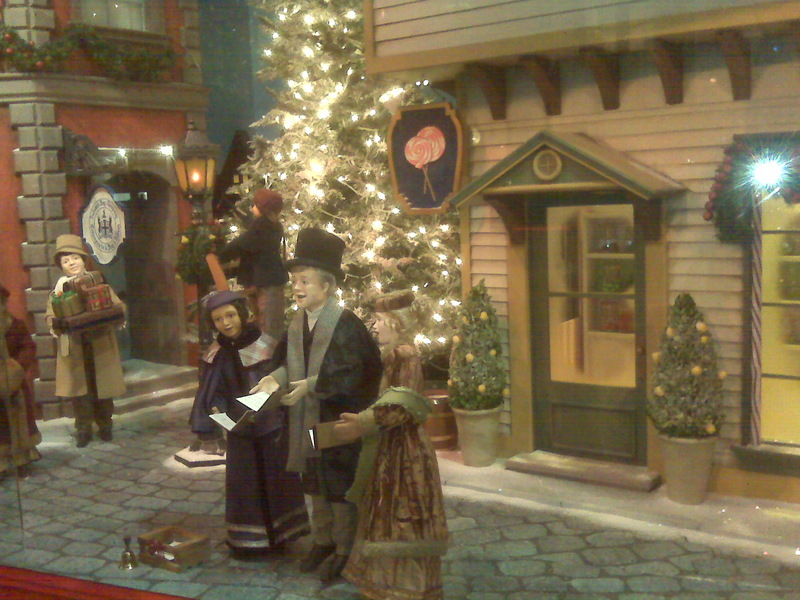 This year the 5 windows depict vignettes illustrating Christmas from the Victorian era. Although they are simply windows they have a certain magic, there were gobs of people ohhing and awing and I think in many ways, reliving the hope, joy and magic that is Christmas.